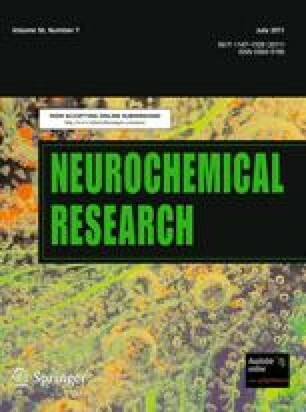 Chondroitin sulfate and heparan sulfate proteoglycans are major components of the cell surface and extracellular matrix in the brain. Both chondroitin sulfate and heparan sulfate are unbranched highly sulfated polysaccharides composed of repeating disaccharide units of glucuronic acid and N-acetylgalactosamine, and glucuronic acid and N-acetylglucosamine, respectively. During their biosynthesis in the Golgi apparatus, these glycosaminoglycans are highly modified by sulfation and C5 epimerization of glucuronic acid, leading to diverse heterogeneity in structure. Their structures are strictly regulated in a cell type-specific manner during development partly by the expression control of various glycosaminoglycan-modifying enzymes. It has been considered that specific combinations of glycosaminoglycan-modifying enzymes generate specific functional microdomains in the glycosaminoglycan chains, which bind selectively with various growth factors, morphogens, axon guidance molecules and extracellular matrix proteins. Recent studies have begun to reveal that the molecular interactions mediated by such glycosaminoglycan microdomains play critical roles in the various signaling pathways essential for the development of the brain. Special Issue: In honor of Dr. Katsuhiko Mikoshiba.